Dedicated to her role as artist-teacher, Dr. Minor is a passionate educator who is frequently invited to present master classes and clinics throughout the country and abroad. 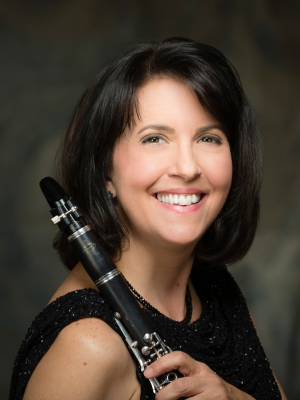 She is currently on the clarinet faculty at the University of Illinois at Urbana-Champaign and has a successful private clarinet studio in the Chicagoland area. Her previous teaching positions include Clarinet Professor at James Madison University in Harrisonburg, Virginia, the Saarburger Serenaden: International Music Festival and School in Saarburg, Germany, the University of Cincinnati College-Conservatory of Music, and served as Clarinet Artist-in-Residence and Woodwind Recruitment Consultant at LIU Post, Department of Music teaching clarinet and leading recruitment activities for the woodwind area. Additional teaching positions include Director of Instrumental Music in District 64 Park Ridge/Niles, Illinois and the GEMS World Academy-Chicago. Dr. Minor is a Buffet Crampon U.S.A. and D’Addario performing artist-clinician performing exclusively on Buffet Crampon clarinets and D’Addario woodwind products. She is a music reviewer for The Clarinet, the official journal of the International Clarinet Association. Her recently released CD The Recital Clarinetist with pianist Paulo Steinberg is now available on Amazon, iTunes, Spotify, Summit Records website and several national and international music distributors. Please visit www.janicelminor.com for more information.